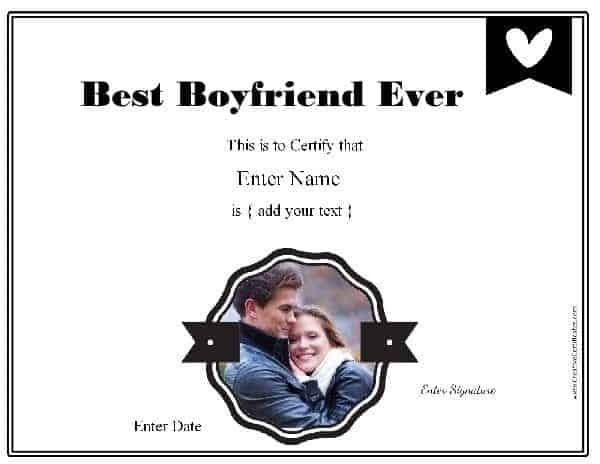 Free printable and customizable Best Boyfriend Award templates to let him know how special he is. Customize the text and add your own photo. The title can be changed. 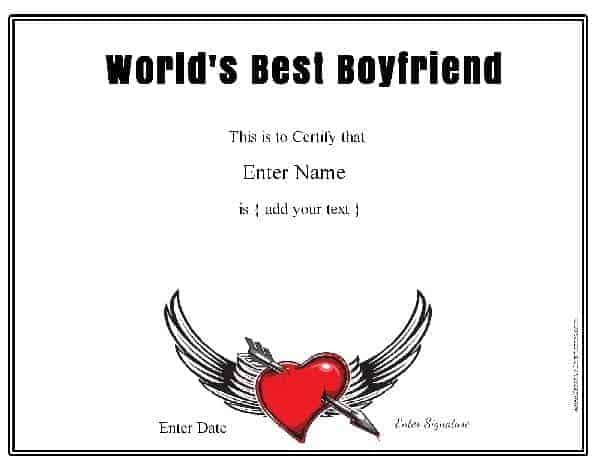 If you don’t want it to read “World’s Best Boyfriend” then you can double click on the title and type your own title. You can also change all other text. For example, you can write “Best Boyfriend Ever”. 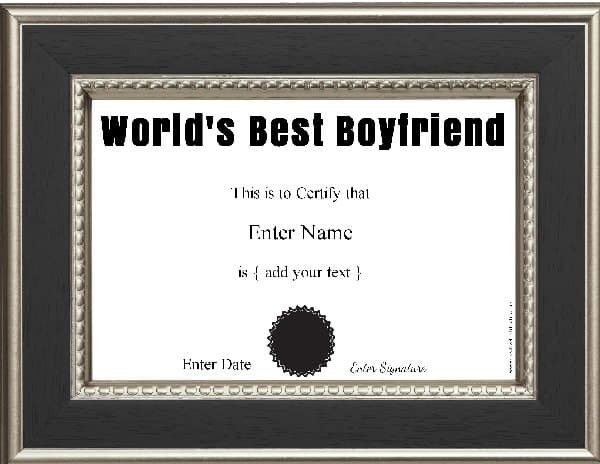 The certificates can also be used for girlfriends or wives. For example: “Best Girlfriend Award”, “Best Finance Award” or even “Best Husband Award”. Feel free to make any changes. You can also add additional text. You can give the certificate as is or have it framed. One of the ways to keep the spark in a relationship going is by doing special things for each other. They don’t have to cost money but just let your partner know how much your relationship means to you. Love is so special and should be cherished. Make your BF, husband, GF or wife an award to let them know how much you love them.